By CandidCupcake on November 8th, 2012 . Filed under: Cupcake Ideas . It’s that time of year when I start seeing cranberries in the produce section and I start dreaming up all kinds of recipes that will make my kitchen smell like the Holidays. 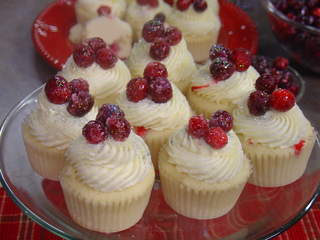 Here is a recipe to help you make use of those cranberries!